Craig served seven and a half years with the Highlanders, a Scottish Infantry regiment. His duty took him to Iraq, Afghanistan and "a residential tour of the Falklands, as well." 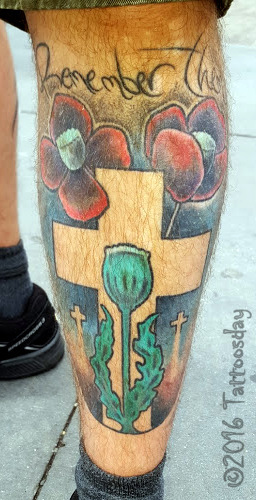 His tattoo serves "to remember fallen comrades" and was inked by Jim at Owlcat Artist Collective in Aberdeen, Scotland. 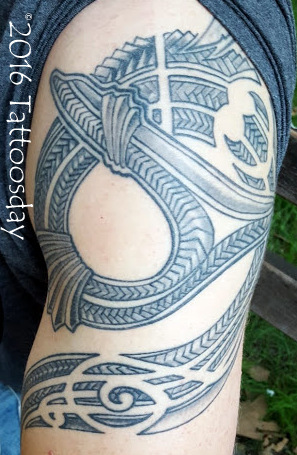 Thanks to Craig for his service and for sharing his tattoo with us here on Tattoosday! I met Abby in September 2015 in Bowling Green Park. 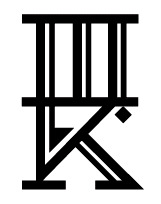 Note that King Ruck was a competitor on Spike TV's Ink Master. Thanks to Abby for sharing her tattoo with us here on Tattoosday! Toby hails from Switzerland. "I lived in New York for one year, but I moved back in February," he told me. 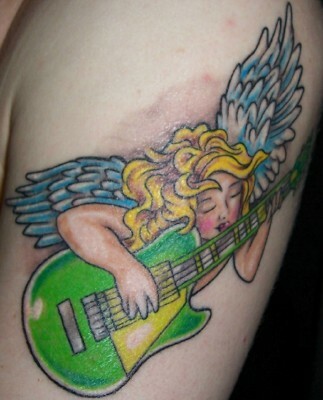 Toby's hobbies include scuba diving and music, so he incorporated both into his body art. He described this as "a whale shark fin, as imagined by the artist." He credited the work to Edwin at Royal Flush Tattoo in Thun, Switzerland. Thanks to Toby for sharing this great tattoo with us here on Tattoosday! 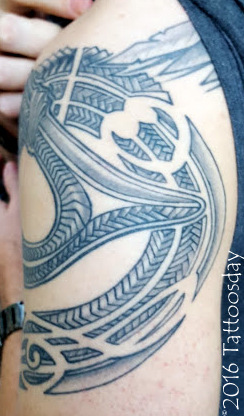 She credited Jay at Lucky Van's Tattoo in San Francisco with tattooing this work. Thanks to Juliana for sharing this cool tattoo with us here on Tattoosday!